On my ride with friends this weekend in Dane County, I noticed a Dane Sheriff drive by. We later saw him on the side of the road parked and watching traffic and then also saw him drive by from ahead of us and behind us multiple times. Although I didn't get a chance to say hi or thank him, I am assuming he was monitoring the area for bike and vehicle traffic and to make sure everyone was riding and driving according to the rules. It could be due to the upcoming Ironman, or the Centurian Ride, or the recent tension behind drivers and bicyclists. Maybe he was just out to keep the roads safe. I am not sure, however, it was very nice to know he was out there, and he did seem to keep all the riders riding single file and safe, and I didn't notice any problems with road rage drivers or unsafe driving either. 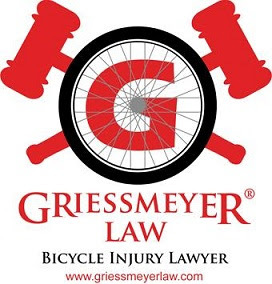 I hope bikers continue to ride in a safe, courteous manner, and drivers continue to remember how fragile a person is when biking on the roads. Thanks to the Dane Sheriffs for keeping everyone safe and happy.